The recent announcement that Apple’s iPad would not support Adobe’s Flash (the scripting behind video sites such as Hulu) irritated me a good bit at first. I already know people who watch videos on iPhones; I could very easily see two or three people whipping out an iPad (in downtime on set? in an office breakroom? in the backseat of a car?) to catch up on the latest missed episode of a favorite TV show. My indignation faltered when I realized that the iPhone – indeed, Apple – never supported Flash to begin with. I instantly flashed (no pun intended) on the little blue puzzle box of death that takes the place of the content in Flash-based websites I try to visit. Now, Flash has more uses that will have to be addressed at length, but I was curious to see what Apple had in mind for the future of mobile video streaming (or MVS, an acronym I just created out of my infinite cleverness). So then, what is this new HTML5 thing, and why is the world moving to it, and what does it all mean? The short answer, and the pertinent answer, is that to display a video on a web page until now has required a bit of fancy coding and, usually, Adobe’s Flash. But just as the <img> tag inserts an image into your web page, the new HTML5 web standard includes a <video> tag that allows direct and simple insertion of a video sans Flash. No fancy, faulty coding required! While H.264 is currently much higher quality, it is licensed by the Moving Picture Experts Group (MPEG) and therefore comes with strings. The Ogg Theora, by contrast, is lower quality but open-source, meaning anyone can use it, improve it, and expand upon it. The debate will play out in real time as browsers and web developers support one or the other (much like DVD and Blu-ray). For the nonce, however, it is enough to know that Apple’s growing influence in today’s popular markets for mobile video streaming (MVS!) is likely to jump-start the use of the HTML5 <video> tag and slowly strangle Adobe’s Flash and its video format. 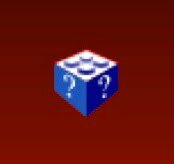 May the websites catch up quickly and spare us all the dreaded little blue puzzle boxes of death.